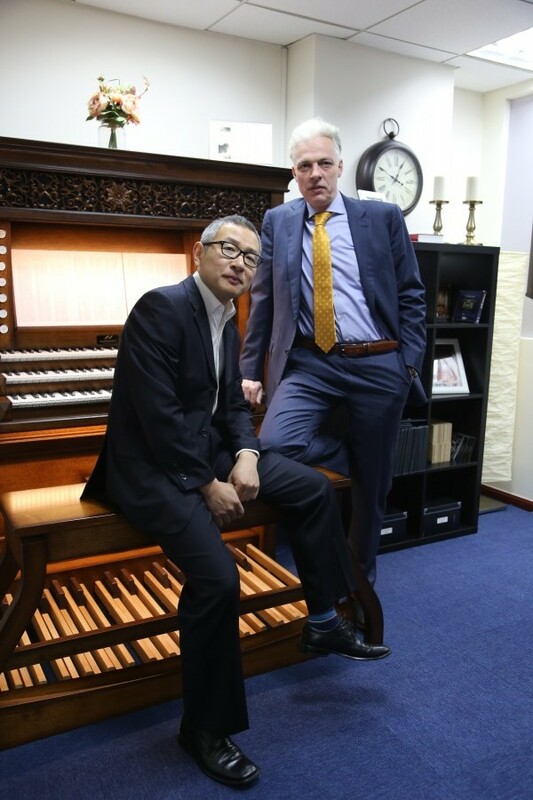 On the picture Mr. Bos, CEO, and Mr. Cao Zhi Hui (Max), CFO, of Crescendo Virtual Pipe Organs Co., Ltd.
December 27th, 2015 Mr. Bos paid a visit to the Noorlander showroom in Lunteren to purchase some parts for his self-made Hauptwerk organ. When he entered the showroom the warmth and he felt the compassion of the employees. There was a mutual feeling that after this first meeting a firm business plan could be made. Back in Shanghai, China, where Mr. Bos was living and working at that time he shared his experiences with his business partner Mr. Cao Zhi Hui and together they travelled to the Netherlands to introduce Mr Cao to Noorlander Organs and their outstanding products. 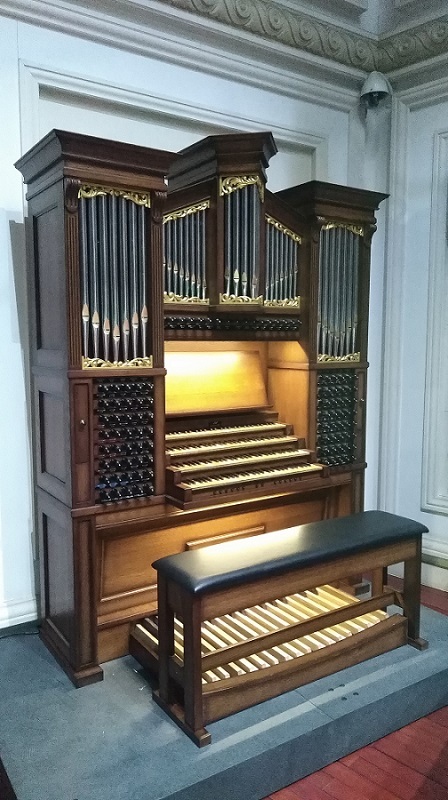 Organs with a Dutch origin and a warm feeling. A basis for good cooperation was created and all sails were set to present Noorlander Organs at the Music China 2016 fair. A lot of work had been done and the introduction of Noorlander Organs to the Asian market was a success. Many people came to the booth and were very enthusiastic about the realistic sound of our organs. Besides this show many more events were held among which a concert in Shanghai with a famous Dutch organist. Due to the success of this official introduction a showroom was opened where potential customers can play our organs. Crescendo Virtual Pipe Organs also focuses on educating organists with the support of several enthusiastic organ lovers in Shanghai. After this first successful year we participated in the Music China 2017 Fair as well. There is a growing interest of the Chinese people in organ music. They learn more and more of the instrument every day and they realize why the organ is called ‘King of Instruments’. Several instruments have been sold. For example, a very beautifully crafted 4 manual organ with 96 pull stops has been placed in Tianjin.